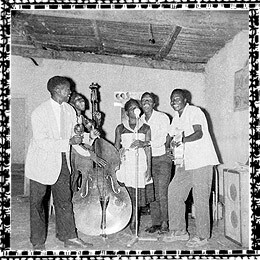 The birth of popular music in Kenya is traced to late 1940s up until early 1950s. 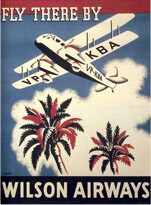 This was preceded by international secular songs elements being adopted in the local scene in the wake of World War II. Then yet to acquire official city status, Nairobi was nonetheless vibrant – a melting pot of sorts stirring up music sessions held in handful emergent dance clubs. During this time, assorted instrumentalists and musicians were making a beeline for the Kenyan colonial capital ‘outpost’. 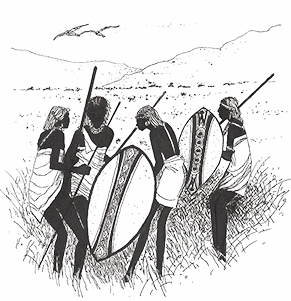 They were drawn majorly from Tanganyika [now Tanzania], Uganda, Congo, Zambia and Rhodesia [now Zimbabwe]. out include Otto Larsen, the late Peter Colmore and Charles Warrod. For some reason this foreigners-trio found themselves, like a moth to light, drawn and sucked into the irresistible allure of Nairobi’s pre-independence musical circles. There are indications Colmore, who came to Kenya in 1938 as an ambitious and adventurous air traffic officer attached to now defunct Wilson Airways – seemed keen to invest locally for the long haul. As a serving sergeant/later captain of the British led East African Forces, Colmore became acquainted with guitarists Fundi Konde and Daniel Katuga [both deceased]. 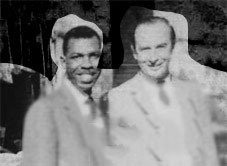 Previously enlisted in the World War II King’s Rifles Forces, the duo was among those identified as music luminaries. But even as the air-traffic-officer turned talent-scout sought to assemble a skilled clique of returnee ex-soldiers into musical units, a collection of Kenya’s earliest songs had already been recorded on reels and later pressed in the UK on78s-inch shellac records. 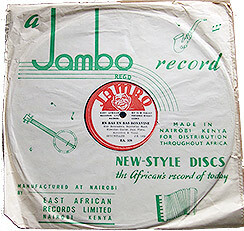 This feat was the accrued, cumulative effort of arguably the region’s first ever record label – the East African Records company, reportedly set up by two Britons during mid 1940s. Within four years, an estimated 200 recordings had been pressed with the East African Sound Studios Limited as “executive producers”. Colmore and Larsen – a Danish studio engineer mandated to revive the East African Records label operations after its apparent collapse in 1950. He came on board after a care-taker company took over East African Sound Studio – and plunged into recording then emergent indigenous musical talents. Broadcasting Studio [CBS], Britain’s His Masters Voice [HMV] and Gallotone Records from South Africa. The latter company somewhat explains entry of South African producer Charles Warrod into the evolving matrix and local musical landscape, which within the span of a decade transformed into Kenya’s nascent ‘showbiz’ scene. This is the third article in a continuing series about Kenyan music history.